It is as a communicator that Dr Keith Suter shines. Having extensive experience in lecturing and teaching, his ability to communicate is exemplary. 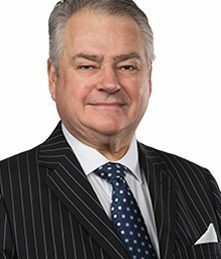 Keith is a regular on the corporate speaking circuit where all of his presentations are tailored to the clients brief; With such a wealth of knowledge and experience, Dr Keith Suter is a fascinating speaker on any occasion. As Foreign & International Affairs Editor and Expert on Channel 7’s ‘Sunrise’ program, Dr Keith Suter is the resident expert on international issues affecting Australian business and society. Keith Suter’s commentary reflects the wealth of experience he has in a variety of fields. As a respected thinker and communicator, Dr Keith Suter is often selected as a speaker on global issues. He is Senior Fellow, Global Business Network Australia and the Executive Director of National Goals and Directions – Suter’s thinking is a valuable addition to this think tank working on Australia’s future. Keith Suter farewelled the Wesley Mission after seventeen years in August 2008. During his time at the Mission Keith’s role as Consultant on Social Policy at Wesley Mission, Sydney, Consultant to Aged and Community Services (NSW), Health Services Association (NSW) and the Conflict Resolution Network saw him involved in a wide range of local and international issues. His experiences and insights formed the basis of his radio broadcast “talking politics” on the 2GB network. 20|20 Exchange is a black label, contemporary peer to peer leadership program exclusive to the chief executive. CEOs from non-competing industries meet monthly under Chatham House Rule. Conversations are be led by independent world class chairs who inspire and support, while facilitating a dynamic environment conducive to open dialogue and learning. Keith Suter is engaged as a chair for 20|20 Exchange, specializing in guiding those businesses turning over in excess of $10-100 million per annum. As a member himself of the most prestigious global think tank in the world, the Club of Rome, Keith shares in regular discussion analysing social, political, economic, and environmental issues of the day and how those issues impact on us now and into the future. With this type of insight, both collaborative and academic, Keith makes an outstanding facilitator, mentor and advisor for business leaders wanting to excel. Not only is Keith informative, he is entertaining, highly compelling, and with his theatrical style he always manages to totally captivate an audience. Keith has the ability to unravel complex business issues and make then understandable and absolutely fascinating.